The first step in getting to know your house is to find out how old it is. As your own house detective, you will want to know when was it built? 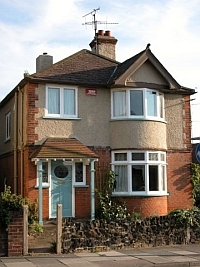 Some older houses hide a long history; a medieval house has perhaps been 're-skinned' with Georgian brickwork, extended in the 1850s and again in 1920. 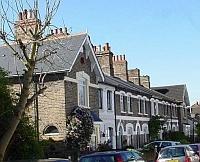 Victorian and Edwardian houses are less likely to have seen such radical change. The most reliable method for dating a house is to use street directories, usually available at local history departments of local libraries. By looking for the first reference to the building, perhaps even 'Vacant', you can prove that the house existed by that year. You can also use the register of electors. Beware of the compilation dates of each of these sources. The census records, currently available for 1891, 1881 and previous decades can be used for an approximate date. Another source of information may be the original owners of the land; this may have been, for example, a religious trust or a member of the nobility. This information may be on the deeds or referred to in a local history book. If this information is not available, or you just want an approximate date, unless there is a date mark on the house or a similar neighbour, you will have to resort to the style of the building. 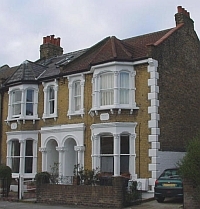 Some houses have a recognisable style; they have clear Georgian, Gothic or Arts and Crafts features, for example. These will give you broad date ranges. 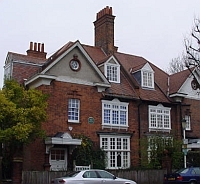 But many buildings, particularly more modest houses, have an eclectic mix of features. These are dateable by looking at individual elements. 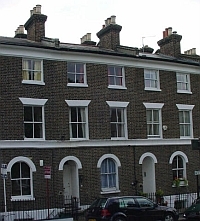 For example, red brick frontages began to appear in the 1880s, becoming common to most standards of house only in the 1890s. 1714 and 1830, in the reigns of Kings George I, II, III and IV.